When we sat down with him to design our unique ring we didn’t know what to expect. After about 1 hour with Donal we had a number of designs and images on screen of which way we wanted to go. To have the trust in someone to who is going to craft this special ring for us was an easy thing to give as Donal put us at ease right from the start. 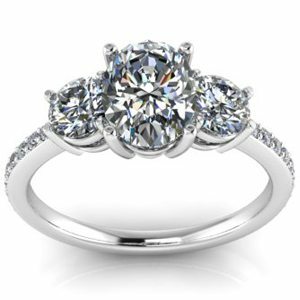 Every ones engagement ring is special but knowing that we have a custom designed engagement ring makes it even more special. The biggest obstacle to buying a ring from a website in my mind was one of trust, as with buying a lot of things online, but once we got in touch with Donal met with him he put our minds at ease and the rest was so simple and straight forward. We didn’t know what to expect before we took the plunge and got in touch with Donal. We were worried about a lot of things including; not being able to handle or see the ring, we also didn’t know much about diamonds and we were worried about describing our requirements correctly. Not being able to try on my wedding ring was a big problem for me at first. There are so many beautiful rings out there and it’s not always easy to know which model, metal or settings to choose from. Value for money was my main concern but once we got in touch with Parnelle Diamonds and outlined what we wanted this wasn’t really an issue as they offered much better value for money than a high street jewellers. SOME NICE THINGS PEOPLE HAVE SAID ABOUT WORKING WITH US! 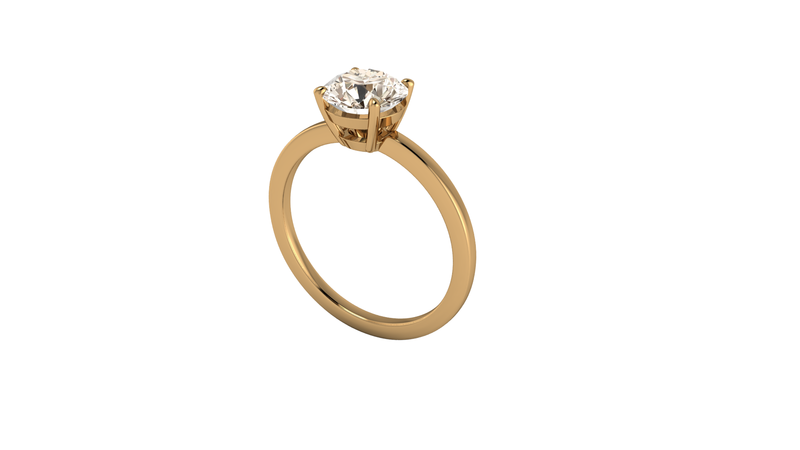 “With Donal’s fountain of knowledge in the diamond field, he made the design and making of our ring very personal. We had the control of what we wanted and Donal executed to the highest of standards with no second guess. A totally professional approach from start to finish with no regrets on the final product. 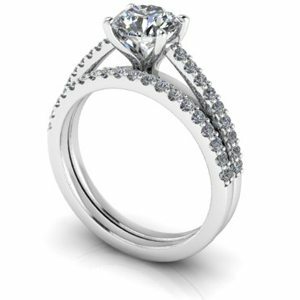 Every ones engagement ring is special but knowing that we have a costumed designed engagement ring makes it even more special. Could not praise and recommend enough the fantastic service of Parnelle Diamonds. “Brendan and I were already engaged when we started looking for a ring, so I had a pretty extensive pinterest board by the time we met with Parnelle Diamonds. I had narrowed it down to an art deco style and had tried on lots of vintage rings but the ones I liked were far too expensive! 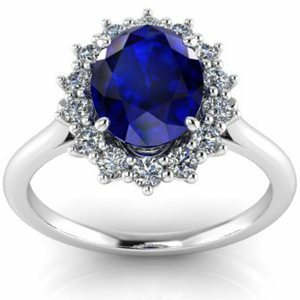 I was a bit hesitant about designing my own ring as I wasn’t sure I would be able to tell if it was “the one” without putting it on my finger. I was also concerned about the origin of the stones and wanted to ensure that they were conflict free. We didn’t know what to expect before we took the plunge and got in touch with Parnelle Diamonds. We were worried about a lot of things including; not being able to handle or see the ring, we also didn’t know much about diamonds and we were worried about describing our requirements correctly. What we found after speaking with Donal was someone who is extremely friendly and easy to deal with as well as knowledgeable and whose can-do attitude really helped us to trust his judgement. Being able to design the ring ourselves was the best part for us and then of course seeing the quality of the finished product. We’ve had numerous compliments on the ring, I always see the sparkle catching peoples eye and it’s nice knowing that we were part of the design process which makes that much more special. We were also very pleased with the price as Parnelle Diamonds were able to produce the same quality ring for a lower price than any of the other quotes we got from the high street jewellers. The biggest obstacle to buying a ring in my mind was one of trust, as with buying a lot of things online, but once we got in touch with Parnelle Diamonds and met with him he put our minds at ease and the rest was so simple and straight forward. All our needs were taken care of promptly and any questions we had were answered thoroughly and after receiving the ring we could not be happier with it! I think most people buying a diamond engagement or a diamond wedding ring will have an idea of what their partner likes and to be able to create that piece myself was fantastic. The whole thing came together so easily which left me time to work on my proposal! The amount of compliments that we have received has been amazing. I wouldn’t hesitate in recommending Parnelle Diamonds to anybody else, it was a pleasure to deal with them and they made everything to do with purchasing diamonds so easy. 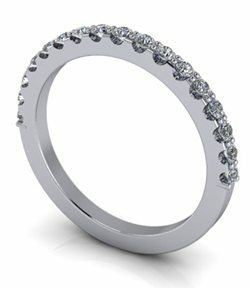 They kept us involved in all aspects of the rings creation from start to finish and the quality was outstanding. I just hope people realise that this is the way forward. No longer do you have to go into a jewellers and buy a ring which might be similar to what you want, with Parnelle Diamonds you can get exactly what you want. Not being able to try on my wedding ring was a big problem for me at first. There are so many beautiful rings out there and it’s not always easy to know which model, metal or settings to choose from. Thankfully Parnelle Diamonds were able to give me great advice to help me make up my mind and to give me directions to get the best results and I’m very grateful for the time they spent with me discussing all of the details of my ring and for his flexibility and patience. In the end I went for the castelle setting as it allows the light through and makes the diamonds even shinier which gives a stunning finish to the ring. His flexibility and patience were important to me while I was making up my mind on the model of the ring I wanted. I really liked that they always came back to me quickly to confirm that what I was asking for was possible or to give me a new quote. Once I got my ring I was not disappointed, it fits perfectly and is exactly the right size. It looks stunning beside my diamond engagement ring and I’m absolutely delighted with the result. I would highly recommend dealing with Parnelle Diamonds to anyone for either diamond engagement or or diamond wedding rings. 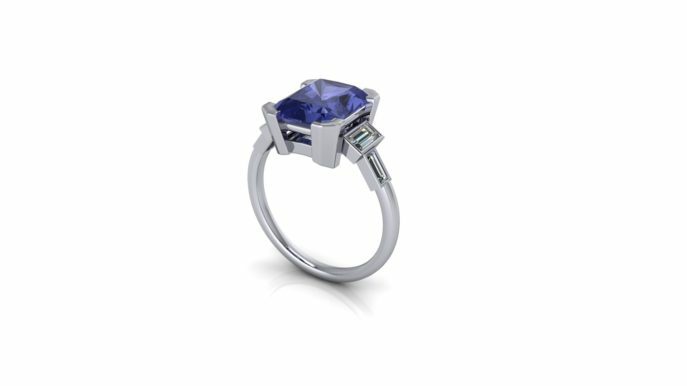 Having a unique ring tailor made from scratch for you is very appealing and their prices are quite competitive. My plan was to have the wedding ring of my dreams and the one I got is above expectation. It’s stunning and very satisfying to have a unique wedding band created only for me. I’m really thankful for that and for Donal’s patience and professionalism during the process. We were able to work with Donal on a design that we liked that was within our budget so we got something that was of high quality and design but at a much better price. We were also delighted to be involved in every single decision in regards to the rings along the way from the ring designs, type and quality of the diamonds used as well as how and when we took delivery of the rings we couldn’t have asked for better communication from a business. I would definitely recommend dealing with Parnelle Diamonds and have done so on many occasions as they represents value, high quality and a high standard of personalised service. They deliver what they say they will and when they say they will. I catch my wife admiring her rings on a regular basis and showing them off to others. Isn’t that all the proof you need to work with them?